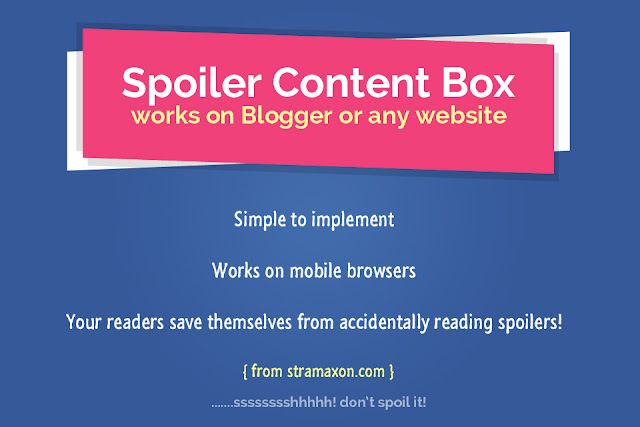 It is difficult to warn users about possible spoilers in an article, if you are a blogger who blogs about TV shows, movies or books which are some common subjects of spoilers for its audience. Today you will learn how to implement a simple technique to handle spoiler contents on your blog posts. The best thing is that you don't have to write a lot of stuff to include it into your post every time, once you set it up, you just need the text content which is probably a spoiler, into a line of HTML which we will provide in the tutorial below. Spoiler: This is easy to add to your blog!! See this. Almost no work to do when adding these Spoiler box in your blog posts. Works on Blogger, WordPress, basically it is all HTML and CSS, thus works perfectly fine on any kind of website. The tutorial is meant for Blogger though. Different colors! Match it with your blog's color scheme. Backup your Blogger Template - In case anything goes wrong you can restore it to the way it was. This tutorial is split into two parts, adding the CSS and then setting up the HTML, these are the only two things that you have to go through and we will give you a small hints about what's going on with each part so you don't feel lost. CSS is the language used on the web to style things on a website, it plays a major role in our spoiler content box, as it is the back-bone of how our spoiler content show/hide box is going to work. Looks like a large piece of code? That's a very small snippet in comparison to what other plugins for these kinds of features takes. Once you have the CSS code in place you can proceed to the next section to learn how to make use of the CSS we added in a blog post. We have to tell the browser "Hey web browser, this is a spoiler box, please hide its text content! 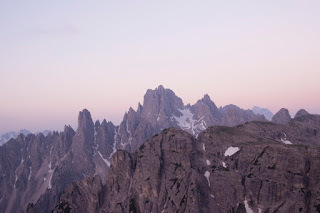 ", unfortunately we can't tell it in English, so we use HTML, that's the markup language, if you have been working on Blogs for long you might have come across it many times, because it's what makes everything on the web! This is the base code we need, of course you want to replace The quick brown fox jumps over the lazy dog. to anything you want to appear inside the spoiler box, you can put images, text, headings, even videos! Follow these steps properly to learn how to add it to a blog post, you just have to carefully understand the process once and afterwards you would be able to easily modify the code as you like and add it to your posts. You could skip the above step by enabling "Interpret typed HTML" in the options in your post editor, on the right sidebar under Post Settings, click on Options and then choose "Interpret typed HTML"
Paste the HTML in the post where you want it to appear. That's it, if you pasted the code in "HTML" mode, switch back to "Compose" and you will see the text in post editor with no styles, don't worry, when you load the post on your blog the spoiler content styles will be applied automatically. And so on. You just have to add the supported colors name next to spoiler in the class attribute. If you know how to code CSS. If you want to add new colors please let us know in the comments on this post and we will be happy to consider it if it is a good fit. Don't want to write the code each time you proceed to add it in your post? Use this generator to enter your desired content and get the code right away, works on mobile phones as well! Like what I am doing and want me to make something similar but more customized for your blog/website? I am a web developer and you can hire me.